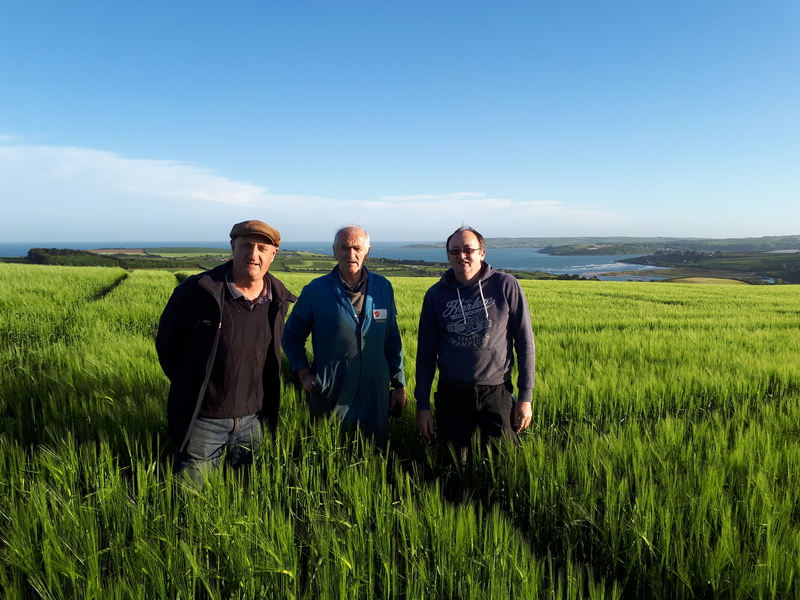 John O’Neill, Derry Desmond and Simon Draper from DeCourcey Vintage Club inspect the crop at Harbour view, Kilbrittain, site of this year’s harvest day on the August Bank Holiday. 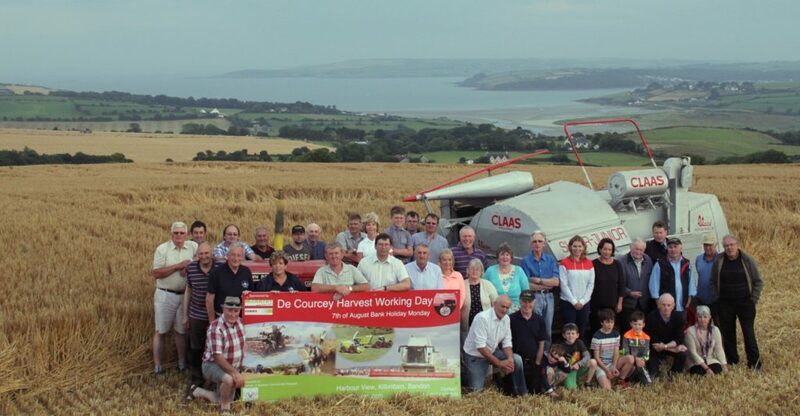 The De Courcey Harvest working day will take place on the August bank holiday Monday. 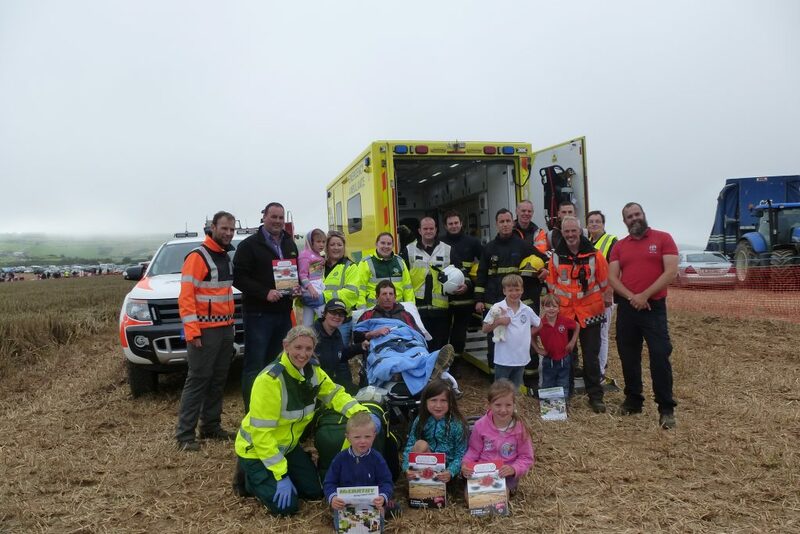 This year the event will be held at a new site in Harbour View, Kilbrittain, Co Cork. It will take place on the farm of De Courcey Club member Derry Desmond. The club is most grateful to Derry for making the site available to us. 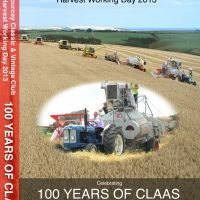 Ever since the hugely successful 2013 Harvest day celebrating the 100th anniversary of Claas farm machinery, the De Courcey Classic and Vintage Club has had close contact with the Claas company. We are delighted to announce that in 2017 we will once again be running the event in partnership with Claas. This year will feature many new additions to the range of exhibits and as always the focus will be on activity, with a huge array of vintage machines working at the event. Claas are launching their latest silage harvester in the jaguar range the 970 in November 2017. Two of these machines have already been sold pre- launch in the West Cork region. It will be possible to see one these machines working at the De Courcey event. 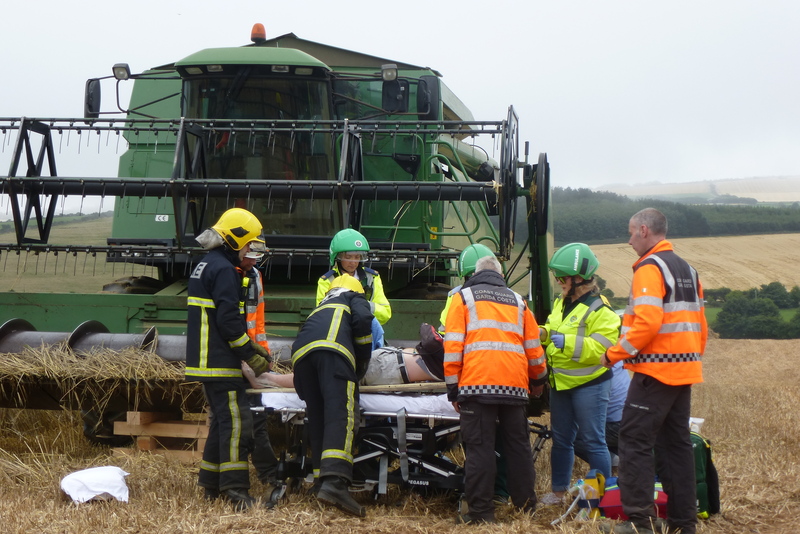 The 970 will be working alongside older harvesters to emphasise the vastly increased capacity of the new machine. Some of the new activities at this year’s Harvest Day will include silage cutting with a selection of machines including single chop, double chop, precession cut up to self-propelled. Rare machines will be seen working, types like the Dania D5000 self- propelled and Hesston Field Queen self- propelled and star of the show will of course be the latest jaguar 970 . Claas will have a significant presence at this event with sales stand, machinery displays, merchandising etc. 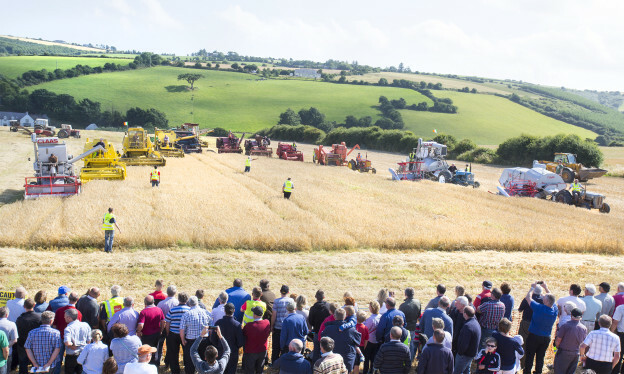 Tim McCarthy from McCarthy plant and agri sales, Carrigtwohill will be on hand to answer any questions people may have about the Claas range of machines. We look forward to fine weather and a great day out on Monday 7th August in Kilbrittain. This entry was posted in Claas, Events, News and tagged 2017, 970, Agri, Carrigtwohill, Claas, combine, Courcey, Day, De, Harbour View, Harvest, Harvester, Jaguar, Kilbrittain, McCarthy, Plant, Sales, Silage, Working on May 18, 2017 by admin. The 6th Annual Harvest Day on Sunday 7th August, celebrated the 80th Anniversary of the Ferguson Brown tractor, the first of the Ferguson range, and there were many example of that line both working and displayed at the event which was held in glorious sunshine. The official opening was performed by Andrew Pollocks, editor of the Irish Vintage Scene magazine. Following the opening Mick Forde from ‘The Farm’ Grenagh gave a fascinating presentation of the history of Harry Ferguson from the centre of the Ferguson display. Then it was on to the action. Vintage combines, the oldest being a 1949 Massey Harris through to the trailed combines and on to the self propelled models took to the field. For the next two hours the crowds soaked up the sights and sounds of the vintage harvesters moving through the corn. JJ Hayes was on the speaker describing each model as it carried out its task. Throughout the day old time harvesting was displayed with binders, stooking and steam threshing. The catering side was busy with Barracuda, Clonakilty Blackpudding and the club hospitality tent busy all day satisfying the crowds. As usual for the De Courcey event the days work finished with a grand finale of all Harvesters cutting in precise formation. The event rounded off with refreshments, music and dance. This years event was in aid of the Irish Guide Dogs for the Blind and local groups. De Courcey Classic & Vintage Club Classic and Vintage Club would like to thank Paddy and Ann McCarthy for the great site and everyone that supported the event. This entry was posted in Ferguson and tagged 2016, Ballinadee, Blind, Courcey, Day, De, Dogs, Ferguson, Guide, Harry, Harvest, Harveting, Working on August 9, 2016 by admin. De Courcey Harvest Working Day 2016 in aid of the Irish Guide Dogs for the Bind and local groups. Originally advertised for August Bank Holiday Monday is now rescheduled for Sunday 7th of August in Ballinadee, Bandon, Co, Cork. The event now in it’s 6th year will focus on the 80th Anniversary of the Ferguson tractor brand. We will have a large working display of Ferguson system implements as well as our usual display of Combine Harvesters, binders and horse drawn equipment. For further info contact John O’Neill on 087 266 7296 or John Quinn on 086 8162 529. Check out our website www.decourceyvintage.com or find us on Facebook @decourceyvintage. This entry was posted in Ferguson and tagged 2016, Ballinadee, Bind, Classic, Club, Courcey, Day, De, Dogs, Ferguson, for, Guide, Harvest, Rescheduled, the, Vintage, Working on August 2, 2016 by admin. De Courcey Harvest Day 2016. 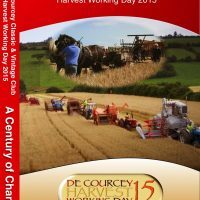 On Monday the 1st Aug 2016 the 6th Annual De Courcey Harvest working day takes place in Ballinadee, Bandon, Co Cork. This year the theme is “80 years of the Ferguson tractor” and will be officially opened by Mr Andrew Pollock editor of the Irish Vintage Scene magazine. 2016 may be the 100th anniversary of the Rising but it is also the 80th anniversary of the start of production of the Ferguson tractor line, with the Ferguson Brown being manufactured in 1936. 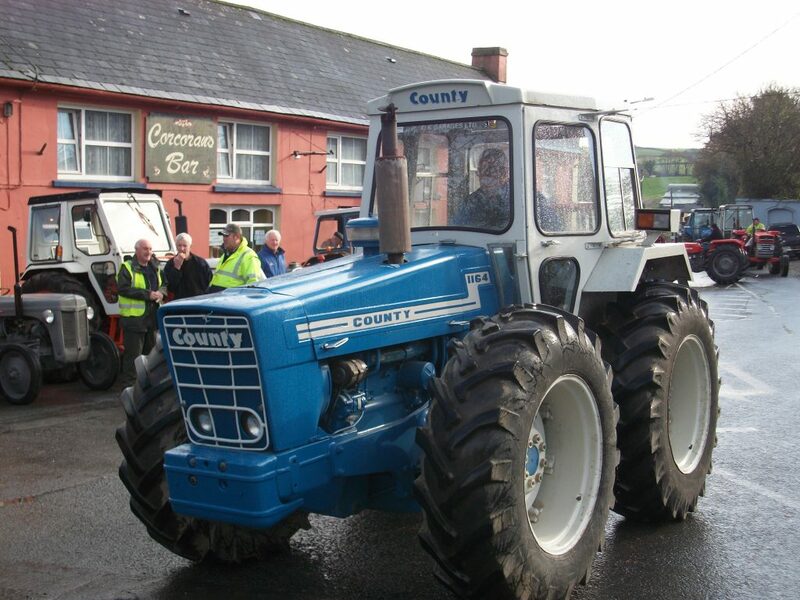 One of these rare tractors will be on display in Ballinadee at the event curtesy of Mick Forde of “The Farm” Grenagh, Co Cork, see www.visitthefarm.ie . We will have a large number of Ferguson tractors and Ferguson system implements on show and being demonstrated by their owners in our special Ferguson tilling area. A highlight of the event will be a presentation by Pat O’Donovan on Ferguson and the Ferguson system. Star attractions of the Harvest Working Day will of course be the growing numbers of vintage combines from all over the country that attend this event each year. Mick Forde has promised to bring a Massey Harris 726 combine which he states is probably the oldest self-propelled combine in Ireland. A highlight of the event will be the annual raffle. Top prize will be a trip to London with Barters travel of Bandon. 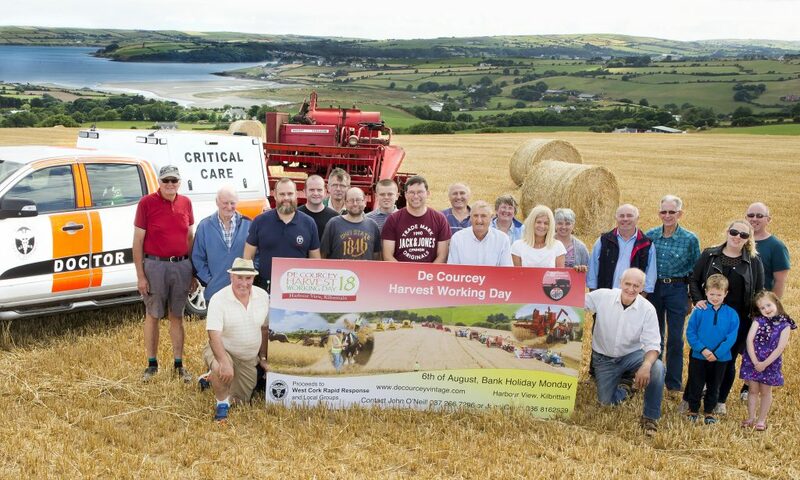 The De Courcey Harvest Day began in 2011 as an idea to put on a working demonstration using several restored vintage combine harvesters from the locality. The event was very successful and the following year increased in size with both participant and visitor numbers doubling. 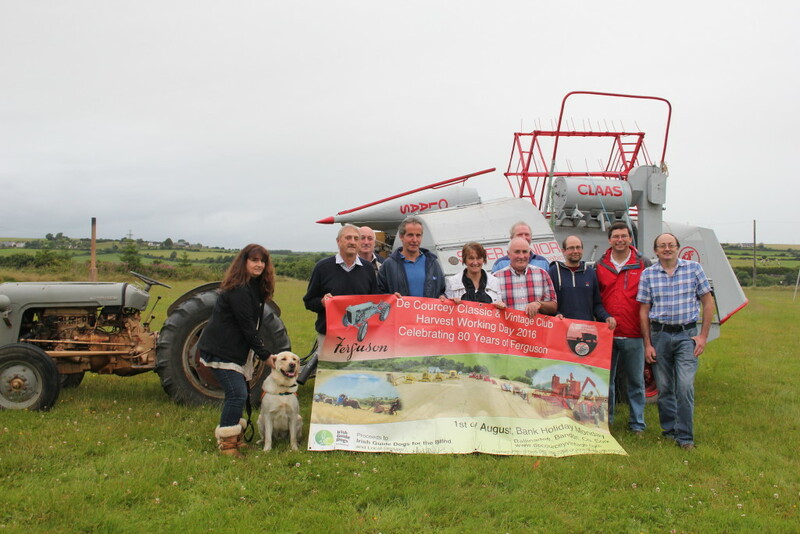 Both 2013 and 2014 saw a radical change as sponsorship from first Claas and then New Holland allowed the De Courcey Vintage Club to organise an event of national significance on a thirty five acre site. These shows attracted several thousand visitors to Barrell’s Cross Kinsale. Both these events received much positive coverage in overseas publications as well as in Ireland. 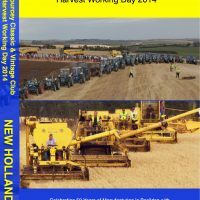 The harvest working day now features working areas with continuous activity. Harvesters, reaper and binders and every sort of machinery associated with the harvest past and present can be seen working throughout the day. Tilling is also represented with a ploughed field filled with vintage machinery turning the soil and planting crops. Many horse operated machines will be operating on the day. Horses will be ploughing, harrowing, cutting corn, threshing and drawing cartloads of sheaves. Also on site will be a picnic area surrounded by food outlets showcasing some of our unique West Cork products. 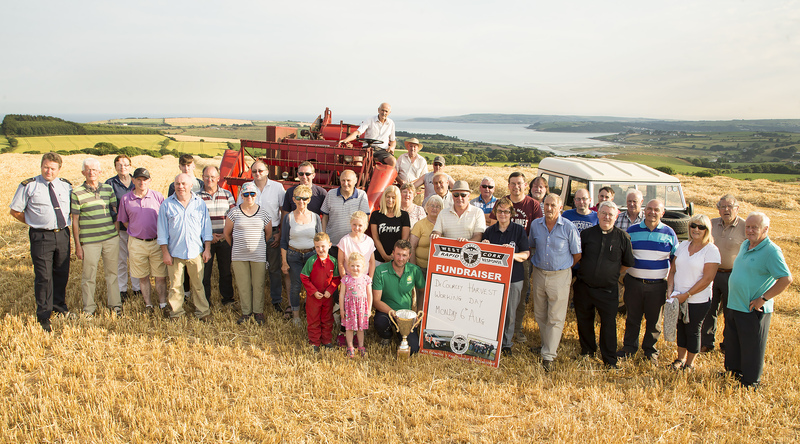 Last year’s participants included Clonakilty black puddings, Barracuda BBQ and Clona Dairies. Of course the event will also have a large static display of vintage commercial vehicles, cars and tractors. This section continues to grow each year. Continuing with our commitment to supporting local causes, this year funds raised will once again go to several local groups in De Courcey’s parish but our main beneficiary will be the ‘Irish guide dogs for the blind ‘. The guide dogs will be attending to meet the public on the day. 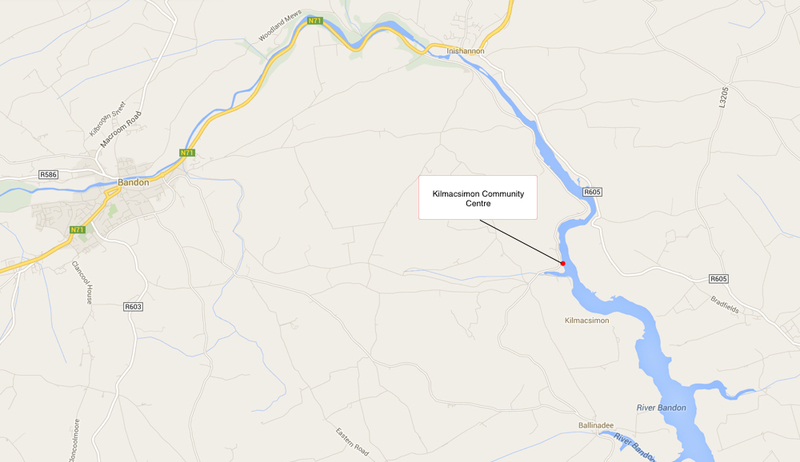 The other groups are as follows; Ballinadee Development Assoc. The local Foroige group and Courcey Rovers Ladies football and Camogie Club, . This entry was posted in Ferguson and tagged 2016, Ballinadee, Blind, Courcey, Day, De, Dogs, Ferguson, Guide, Harvest, irish, tractors, Vintage, Working on July 25, 2016 by admin.